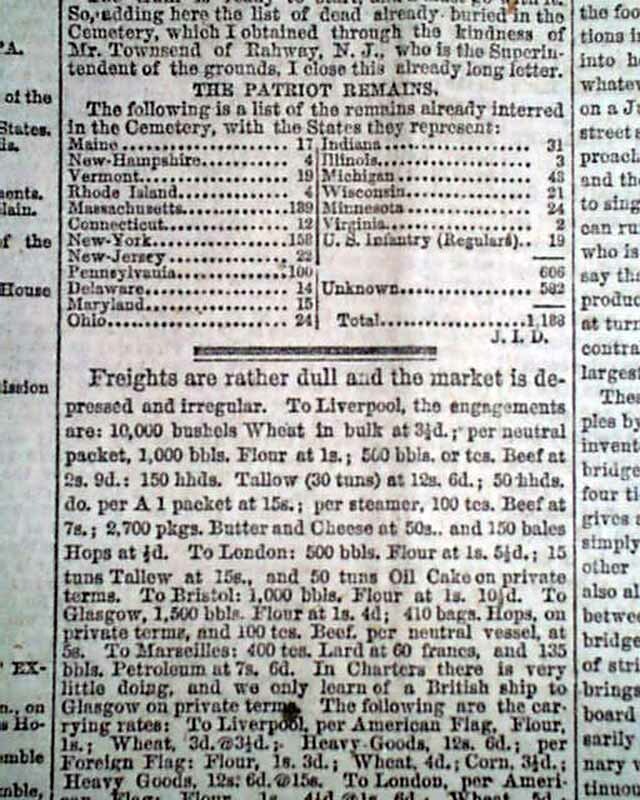 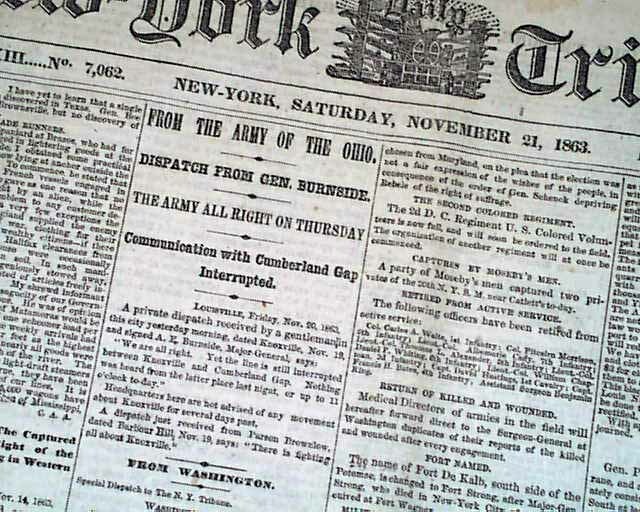 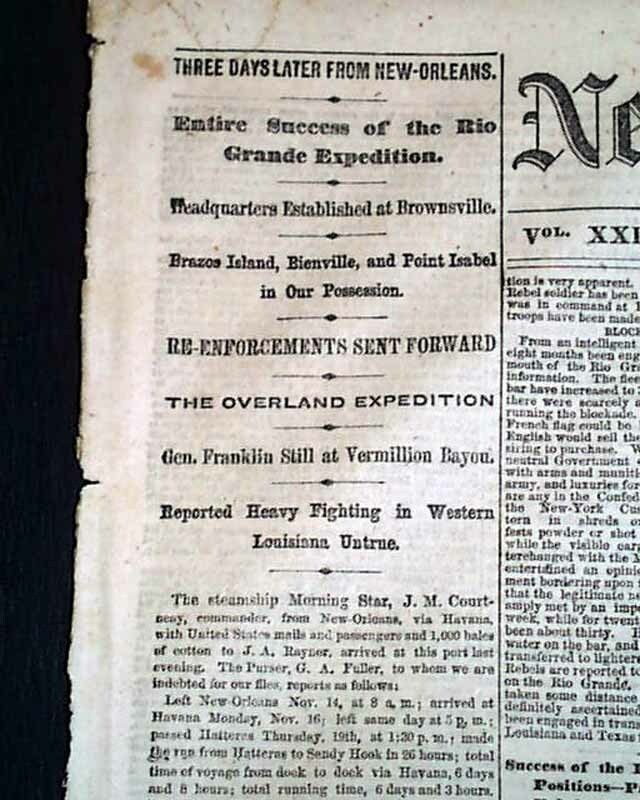 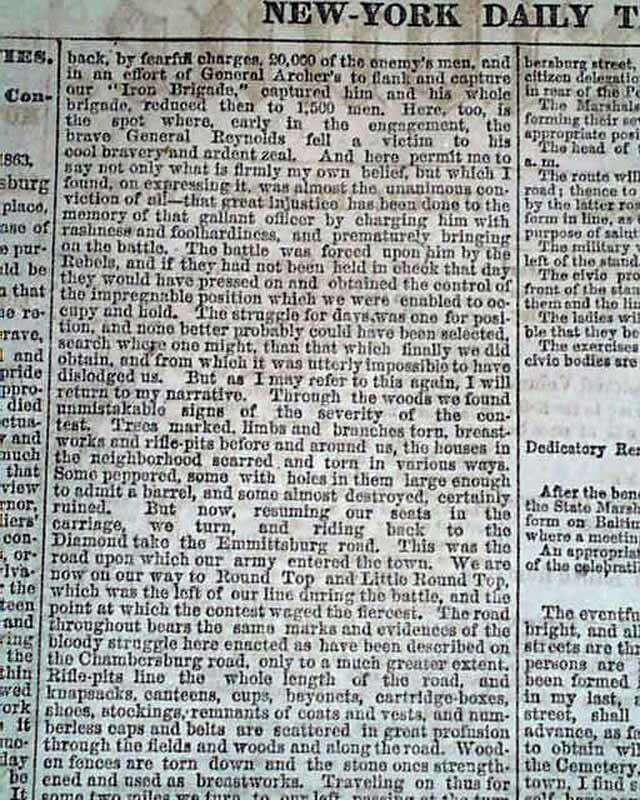 It would be difficult to argue for a more notable or desirable Civil War newspaper. 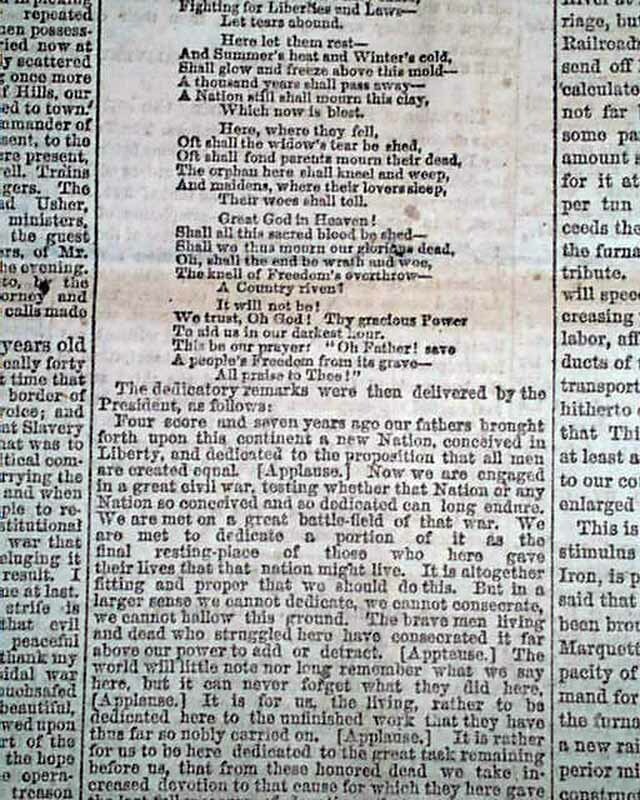 Combine the complete text of the historic Gettysburg Address by President Abraham Lincoln, with this famous title by Horace Greeley, a Lincoln supporter, and this issue makes for one of the best newspapers one could own from the Civil War era. 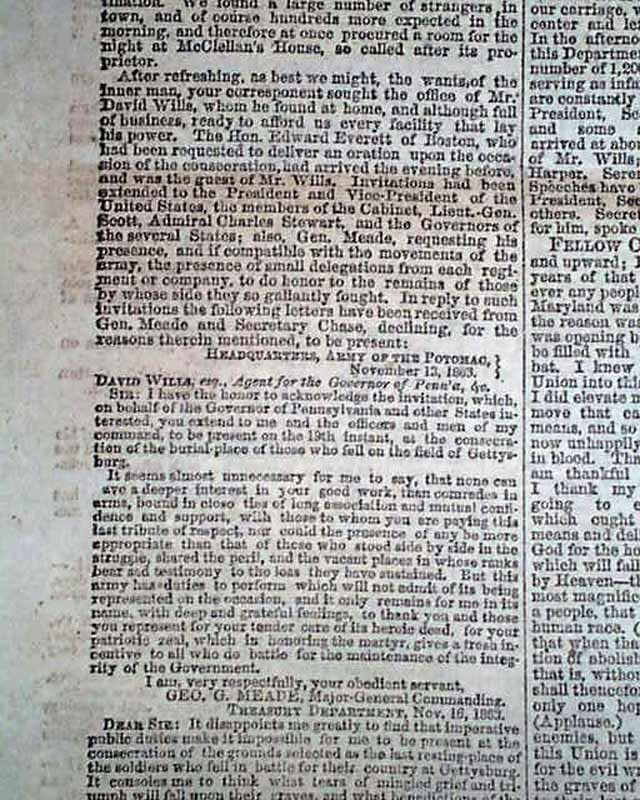 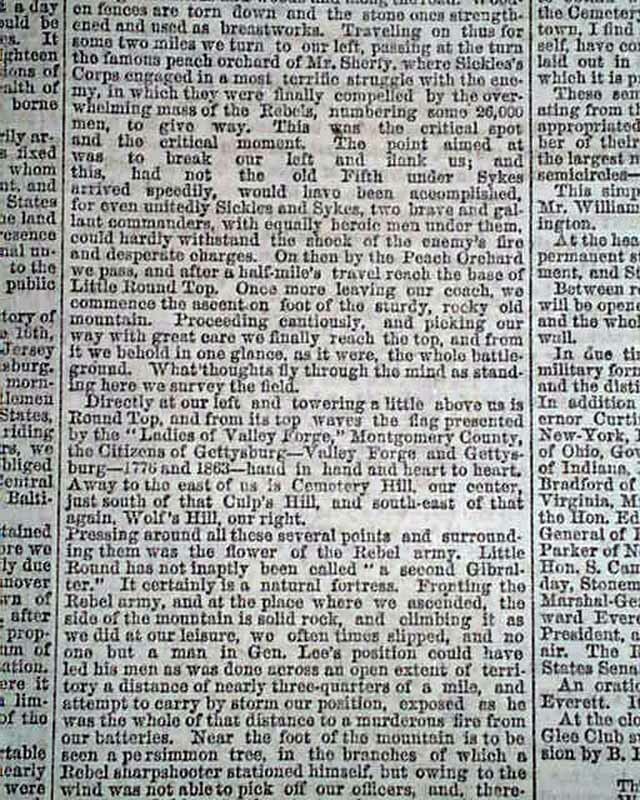 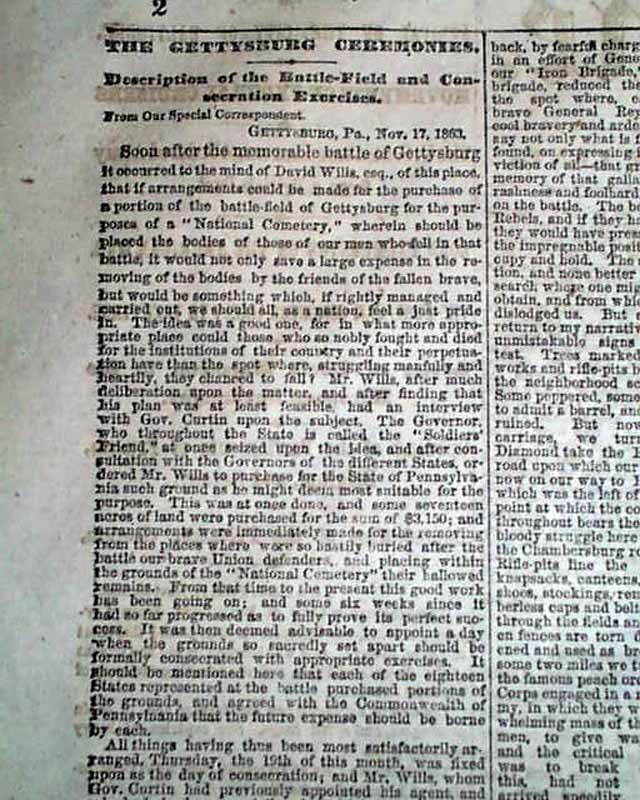 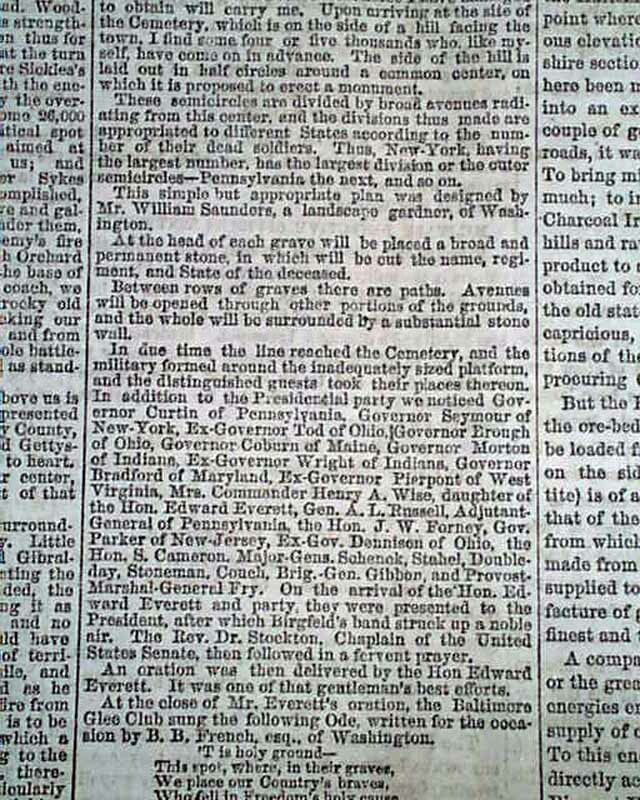 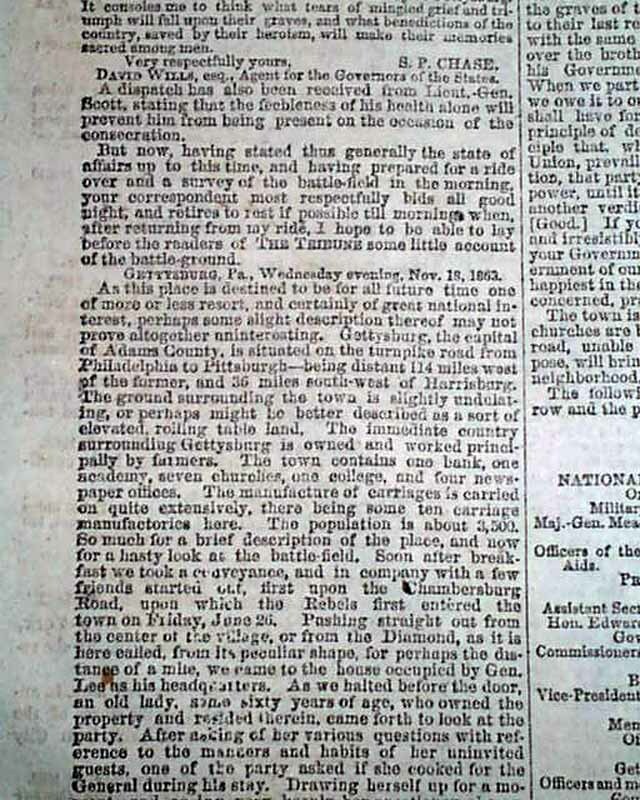 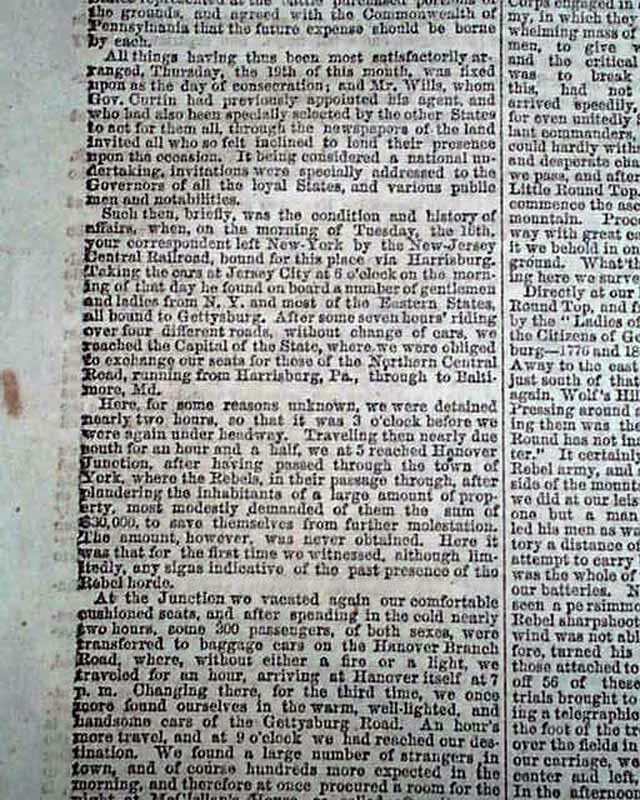 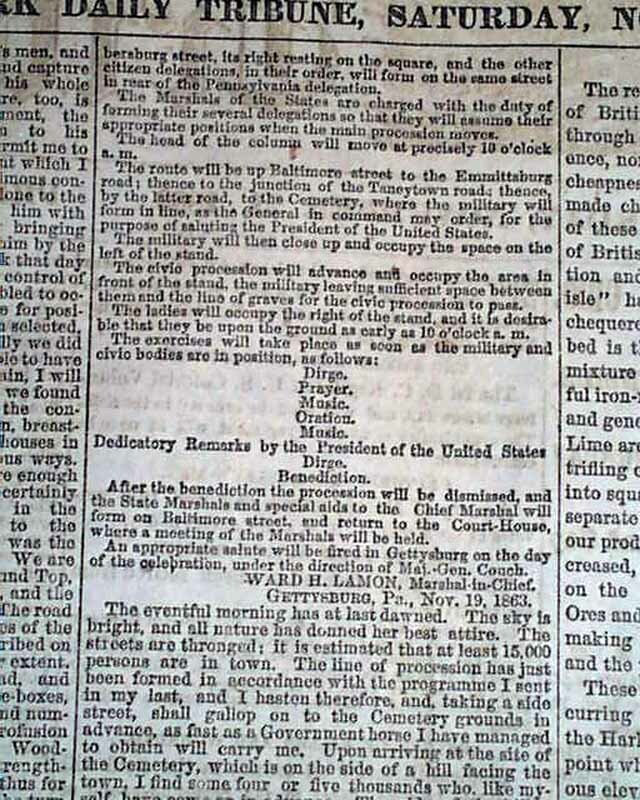 Page 2 has a very lengthy, three column article headed: "The Gettysburg Ceremonies" "Description of the Battle-Field and Consecration Exercises" which provides the details of the dedication of this national cemetery as well as information on how it came to be, with mention of David Wills, at whose house Lincoln stayed the night before (rarely found in period accounts). 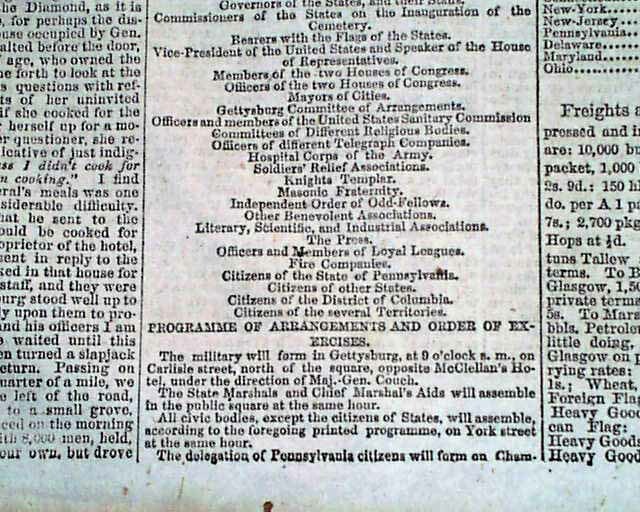 Following a long-winded speech by Mr. Everett, the President gave his now-famous address, printed in this issue in their entirety. 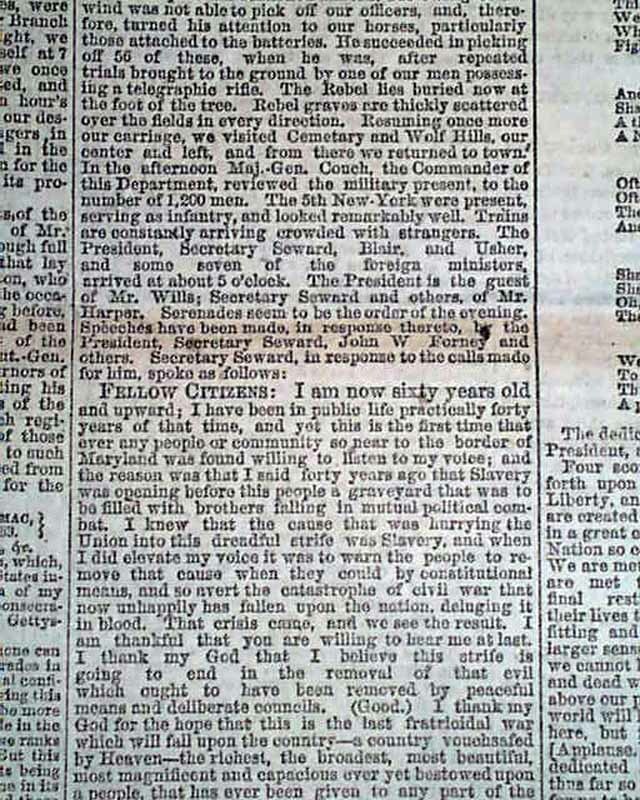 It has a brief introduction: "The dedicatory remarks were then delivered by the President, as follows:..." and what follows are the immortal words beginning: "Four score and seven years ago our fathers brought forth upon this continent a new nation...". 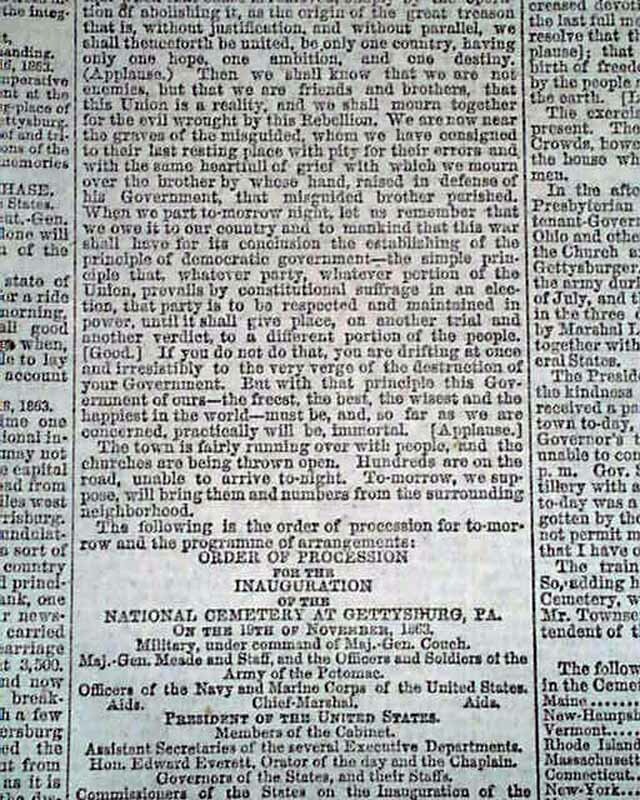 It took just 2 minutes to give his 272 word speech, yet it has gone down in history as among the most significant speeches by any President. 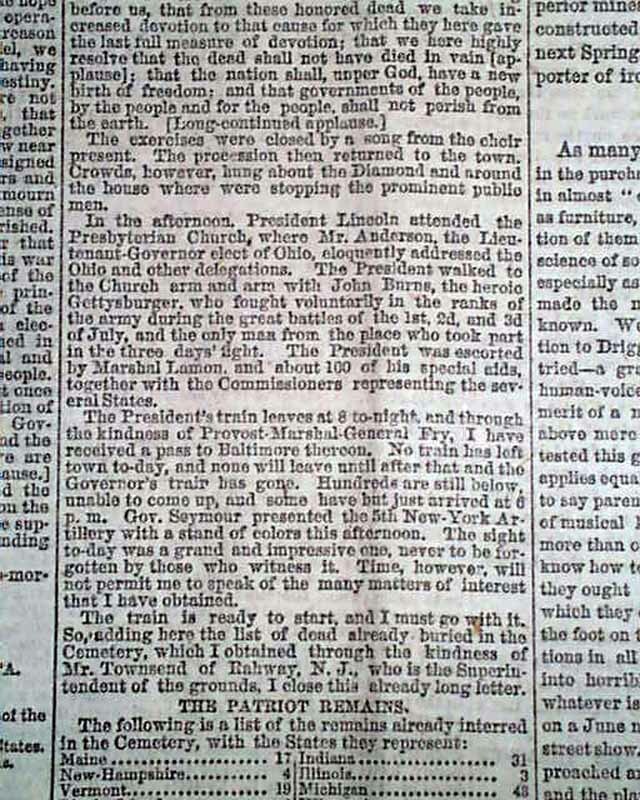 Some details on the President following his speech as well. 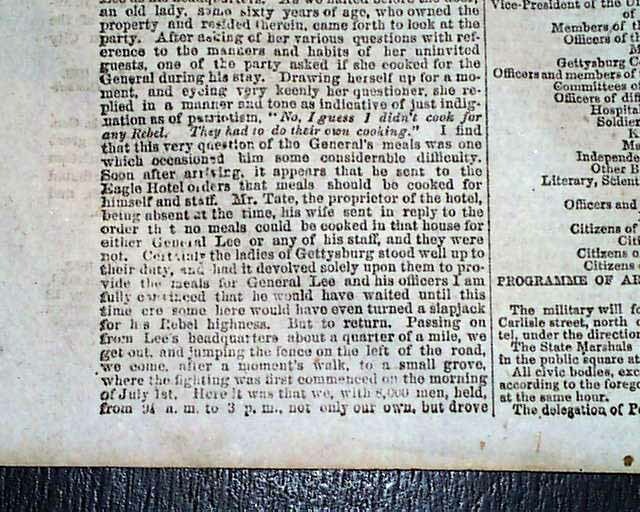 Complete in 12 pages and in very nice, clean condition. 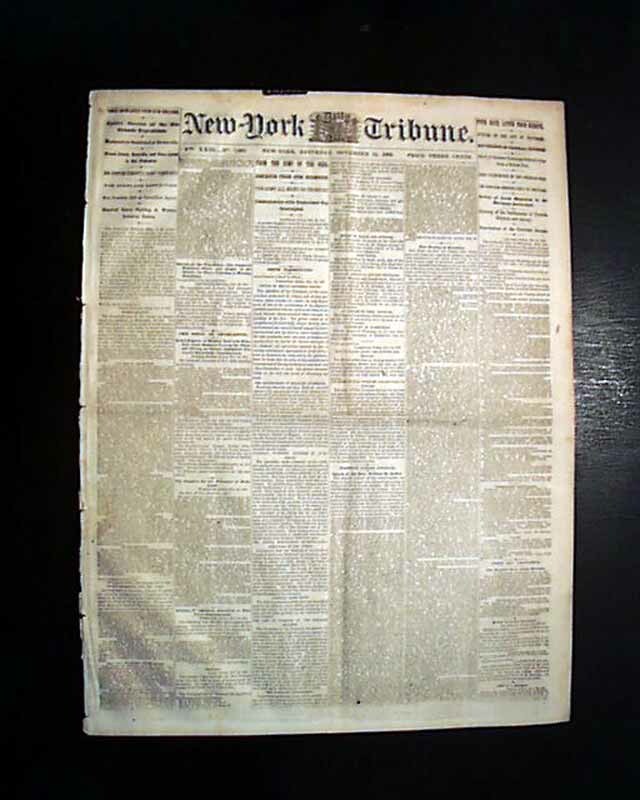 Rarely found in such nice condition.